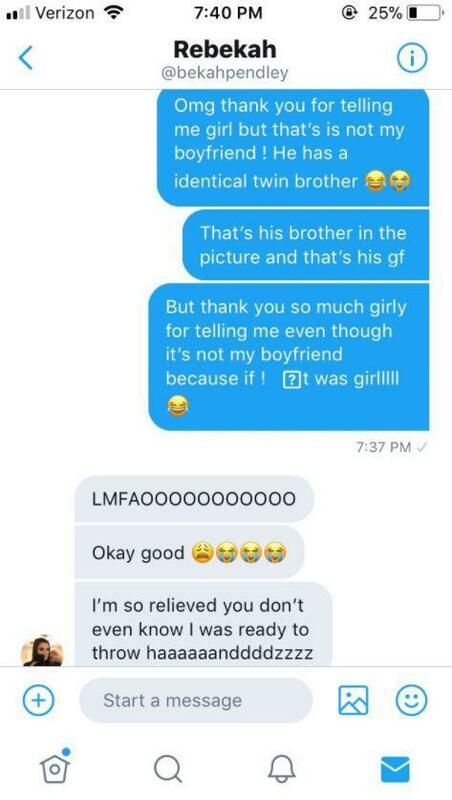 A student who caught the ‘boyfriend’ of a classmate cheating has been hailed a hero, even though she got the whole thing completely wrong. Jasmine Rios was sent photographic evidence of how her boyfriend was cheating on her, from Rebekah, a classmate she’d never met before. The pair had briefly interacted on Twitter which is why, when Rebekah saw Jasmine’s fella getting cosy with another girl in the library, she felt compelled to let her know what was ‘going on’. Hey girl, I know we don’t know each other, just been mutuals on Twitter for a little bit. I go to UTSA too. But I recognise [a guy] who I think is your boyfriend in the library from y’all’s pictures on here, and he’s with a girl and he’s being kind of touchy with her. 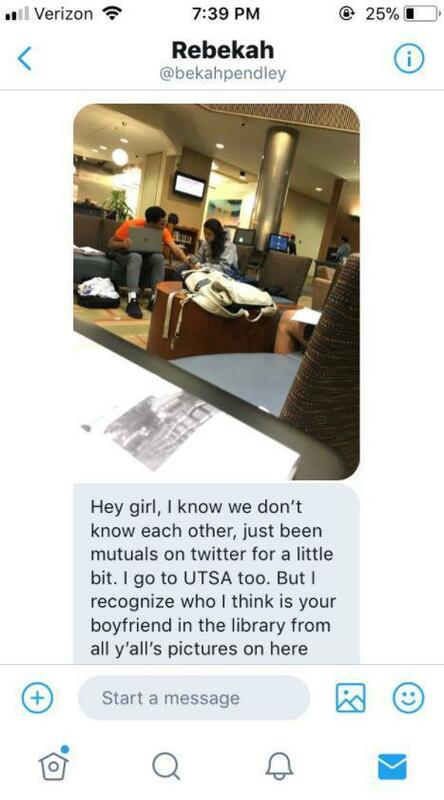 Along with this was a photo of the ‘boyfriend’ getting cosy with a random girl at the University of Texas library. She continued how she felt really bad for having to let her know like this, but thought it would be wrong to witness it and not say anything. However, it turns out Rebekah had gotten the wrong end of the stick. In a twist even Richard Curtis would dismiss as ‘too hokey’, it was revealed Jasmine’s boyfriend in fact, has an identical twin brother. It was him who was spotted in the library and he was cosying up to non other than his actual girlfriend, which isn’t such a terrible crime really. But thank you so much girly for telling me even though it’s not my boyfriend because if it was, girlllll. Jasmine later posted screen grabs of the exchange on Twitter, where it quickly went viral – earning nearly a quarter of a million likes and lots of praise for both Rebekah and Jasmine. I think we can all agree everyone needs a Rebekah in their life!